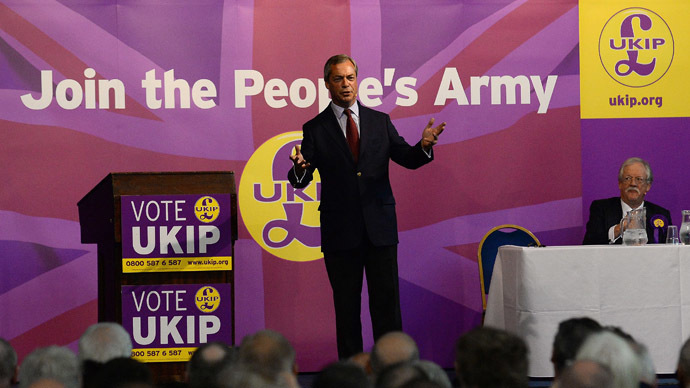 Most of the over four million British voters who backed UKIP in last week’s EU parliamentary elections are determined to cast their votes for the Eurosceptic party once again in the upcoming national election in 2015, a new poll shows. 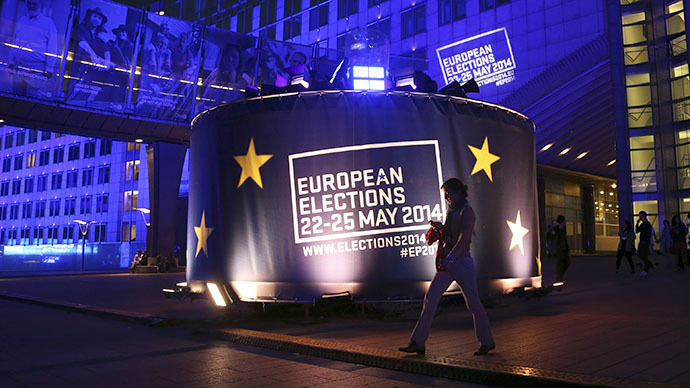 The anti-EU UK Independence Party (UKIP) did surprisingly well in the European election, gaining 27.5 percent of the vote and outpacing the ruling Conservatives and opposition Labour party. The survey, conducted by ComRes and published in The Telegraph on Saturday, suggests that 86 percent of the 4.3 million people who voted for UKIP last week will do so again in the national parliamentary election next year. This would break the previous trend which saw UKIP support in the EU election disappearing on the national ballot. Just under 40 percent said they were “certain” they would support the party again, while 49 percent said they were “likely” to do so. Fourteen percent said they would probably vote differently. ComRes interviewed 4,078 adults between May 23-26. 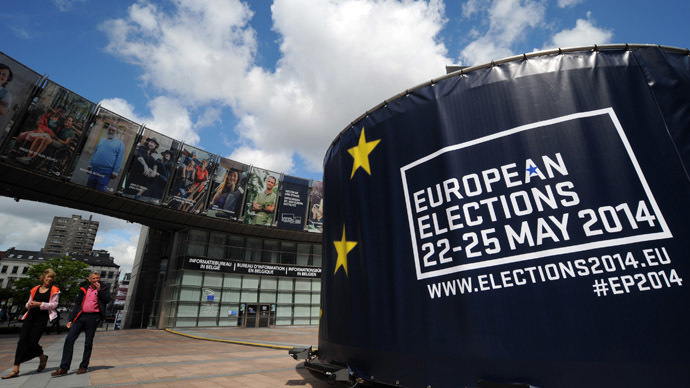 According to another ComRes survey conducted for ITV News and published on May 29, nearly three quarters – 72 percent of UKIP voters at the 2014 European Parliament election – could see themselves voting for the party in the general election in May of next year. 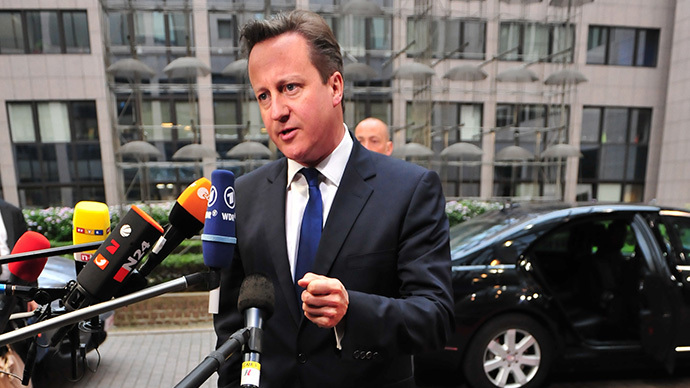 The party calls for Britain to leave the European Union. UKIP's leader, Nigel Farage, stands for increased border controls within the EU. "I knew that once the British people were made aware that we had lost control of our borders and that the majority of our laws are now made in Brussels and not Westminster, there would be a seismic shift in the political landscape of Britain," English businessman and UKIP donor Paul Sykes, who funded the latest ComRes poll, wrote in The Telegraph. In the 2010 UK general election, UKIP received just above three percent of the vote, failing to win a single seat in parliament. According to the Saturday poll, the largest share of those who back the anti-EU party and Farage had supported the Conservatives in the previous general election. "A third (33 percent) of 2010 Conservative voters could see themselves voting UKIP in a general election, compared with a quarter (25 percent) of 2010 Lib Dem voters, and 18 percent of 2010 Labour voters," the ComRes poll states. Paul Sykes said the ruling Conservative party should draw conclusions. “At present Conservative MPs (with a few honorable exceptions) appear to be in denial about the scale of the popular uprising against our current rulers. This is despite their party finishing third in the elections," he said. The businessman added that Conservative Prime Minister David Cameron's pledge "to reduce immigration to ‘tens of thousands’ is in tatters. 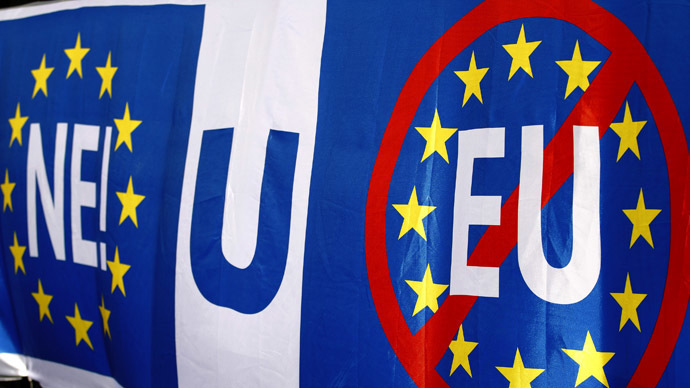 When it comes to the EU, Britain is borderless, unlike the vast majority of the countries of the world, who rightly see the power to decide who enters their territory as an essential component of national sovereignty." UKIP hopes to win its first Member of Parliament (MP) at a single-seat election in the central England constituency of Newark next week. The position is currently held by the Conservatives.